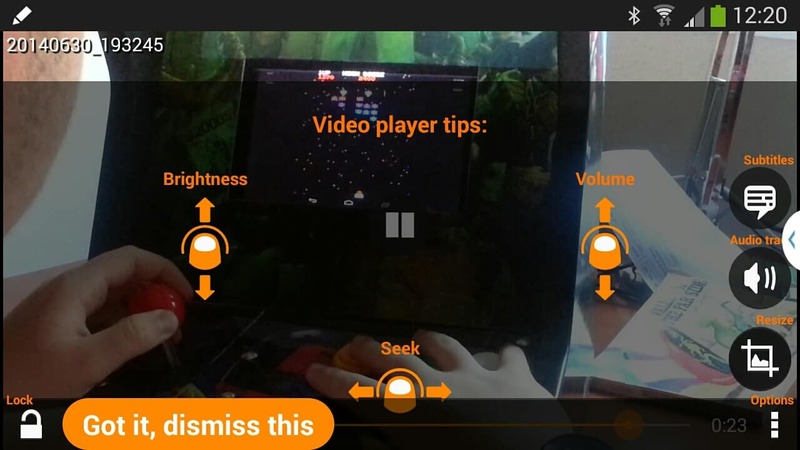 As we have mentioned in other places on this blog, VLC, the multimedia client/server/converter/streamer/screen caster, is an amazing piece of software which has been enjoying a justifiable success for some time now. So we asked Jean-Baptiste about how it all started, what is in the pipeline for future releases, and where he sees VLC going further down the road. PB: How are you today? JBK: Good. Hot, but good. PB: Yes, it is crazy hot here too. 30 degrees and it is 9 o’clock in the evening! PB: Are you in Paris? Is that your base? PB: Ok, before we go any further, I would like to thank you for taking the time to answer our questions. We appreciate it. PB: So let’s get started: Can you explain to the readers what your role is at VLC? 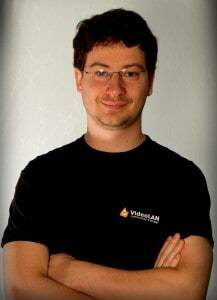 JBK: I’m the President of VideoLAN, one of the core developers of VLC, the leader of VLC for Android/WinRT, and the release manager of VLC. I’m also the maintainer of libraries like libdvdcss. PB: Let me get this straight: VLC is the software and the organisation is VideoLAN, correct? JBK: Yes. Like Firefox and Mozilla. PB: Apart from developing and managing you do other stuff. What for example? JBK: Legal, PR, event planning, blogging, a bit of finance, social network and support. Boring stuff. PB: Exciting stuff being writing code, right? JBK: At least more rewarding, yes. PB: Interesting. Isn’t that library legally controversial? JBK: It’s not controversial at all, to be honest. Unless you are in an insane country. PB: What country is insane? The US? JBK: Yep. IP laws in the USA are insane. PB: They are. It is a pity a lot of countries in Europe want to follow their “example”. PB: Is this sort of thing still going on? Wasn’t the 2005 EU Parliament’s vote enough to kill it? JBK: It is still going on. Regularly, they push for legalising patents over and over again. And the EPO (European Patents Office) still accepts software patents. PB: I know. It is as if they lived in a parallel universe where the laws of the land didn’t apply to them. 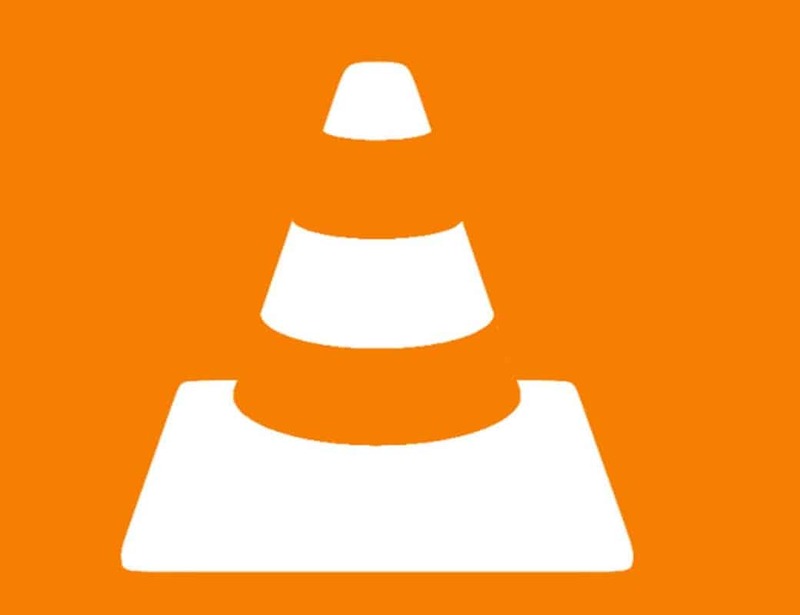 How do software patents affect VLC? PB: Can you tell me one case in which you have been attacked recently? JBK: Dolby and DTS are the usual attackers. PB: But you guys are a non-profit, right? What do they want? To close you down? JBK: Yes. They understand nothing about Open Source, Free Software, non-profits or volunteering. They can’t understand that people can do that. PB: But… Are you competing with them in any way? Because I don’t remember any “Dolby” media player on the market. JBK: They want everyone to pay, because, if one stops paying, they can’t racket the others. PB: Unless they are not in Europe. If they are in the US they can do a whole load of crazy stuff. PB: How long have you been part of the VLC project? PB: And the project started in what? 2001? Is that correct? JBK: It’s not. it was GPL’d in February 2001. The current project started in 1998. JBK: Yes. There was a prior project, although it was the same idea. That started in 1996. PB: It started out as a student project, right? JBK: Yes. It was started as a student project to justify the need for a new and faster network. PB: Wait… What? Are you telling me VLC was an excuse?! JBK: VLC did not exist as such, but yes. PB: “Hey guys, we need a faster network [to play Doom], so let’s say we need to stream video with our super new media server/client system”. Actual discussion, circa 1995. A bit jazzed up maybe, but more or less what happened. PB: And now it is such an impressive and popular piece of software! JBK: Yes. So then the second project, the current project, was started in 1998 with the goal of making it GPL, which happened in 2001. PB: How many times has the latest version been downloaded? JBK: 60 million from our website. That does not include Linux distributions or download.com-like websites. 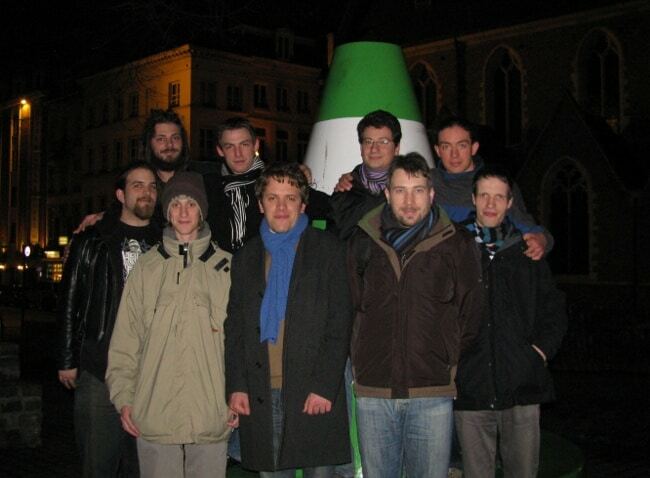 PB: Was VLC already big when you joined in 2006? I can’t remember. I know I was already using Linux. PB: When did you guys realise that VLC was becoming enormous? Was there a moment when you said “Oh! Look at that!”? JBK: I think that may have been at the 1 million bar. I think that happened in 2004, but I don’t remember exactly when. PB: What do you think have been the project’s greatest landmarks? JBK: I think the major landmarks were the port to Windows and OS X, and then the 100M downloads of 0.8.6. PB: What is your marketshare on non-Linux platforms? JBK: 20000%! No, seriously, I have no idea. PB: Ok, let me reformulate that question… How many downloads for Windows have you had, say, of the latest version? PB: And Windows Media player is still installed by default? PB: I thought that was ruled illegal. JBK: There is a Windows version called N without it. PB: Since we’re talking about the latest version, what do you think are the most important changes in this version? 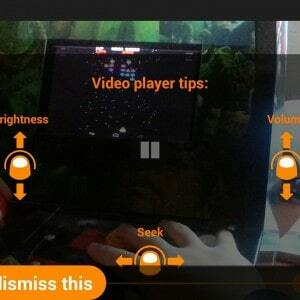 VLC is also available for Android. JBK: Well, it’s complex to answer since mobile versions are not in sync. I hope that our 3.0.0 release has all ports, iOS, WP, WinRT, Android and Desktop, coming out at the same time. PB: Let’s focus on the desktop version for now. JBK: We have better Bluray support and full hardware decoding on Linux. PB: I heard there was supposed to be a feature in which VLC would remember where you left off viewing a video, but I couldn’t seem to get it to work. JBK: Yes. It’s on by default on VLC on the desktop version since 2.2.0, unless it is disabled for some reason. PB: Ah. And it works? JBK: Yes. It doesn’t work for short videos, though. PB: What can we expect in next versions? When will it come out? JBK: It’ll come out in October and we’ll be taking the first steps towards Wayland. We will also have a portable version for Windows and more Windows, iOS and Linux hardware decoding and accelerations. As usual there will be many new formats added and fixed. And maybe Chromecast. PB: And what features would you personally like to see implemented in mid-to-distant future? PB: That would be *very* cool. JBK: And a lot of things are missing on Android. Network browsing is bad at the moment, for example. PB: Apart from the VLC Client/Server media player, is the VLC team working on any other projects? JBK: Not really. VLC desktop, plus 3 or 4 mobile ports, plus all the libraries is already quite a bit of work. There are 25 people working for VideoLan, 12 active developers incl. 5 core. PB: True. How many people work on VLC? PB: Let’s say, core developers. 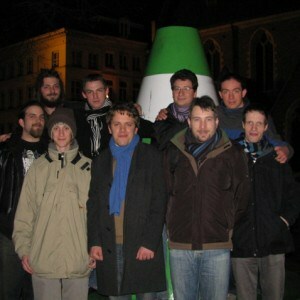 The VLC team at FOSDEM. JBK: The number of core developers is 5. Active developers would be 12, and there are 25 people working for the VideoLAN association. PB: Does VLC have any paid developers? JBK: Some VLC developers are doing consulting, yes. But that’s a very small part of the work they do when compared to the amount of code they generate for VLC. PB: Developing for VLC, I am guessing, is not your day job, right? JBK: It does take up most of my time. PB: Really? Does it pay the bills? JBK: I do consulting for video-related stuff. That pays the bills. PB: How does VideoLAN sustain itself? JBK: VideoLAN is a non-profit and it only gets money from Donations. Users can help us by donating on our donation page. PB: How else can users help the project? JBK: They can test VLC and report bugs. In general, just use it… And use libVLC in other software projects. We also appreciate people blogging about VLC, helping us document the software and working on translations. Anybody who wants to help can find out more on our site at videolan.org. PB: Jean-Baptiste, it has been a pleasure talking to you and learning about VLC. Thank you so much for your time and I wish you and your team a lot of luck with future releases. PB: Now I am going to relax watching a film on VLC. True story! ???? ?? ???? ?? ?????? ?????? ??????? ?????? The design is very similar to prior versions, except, of course, for Android, which looks great.